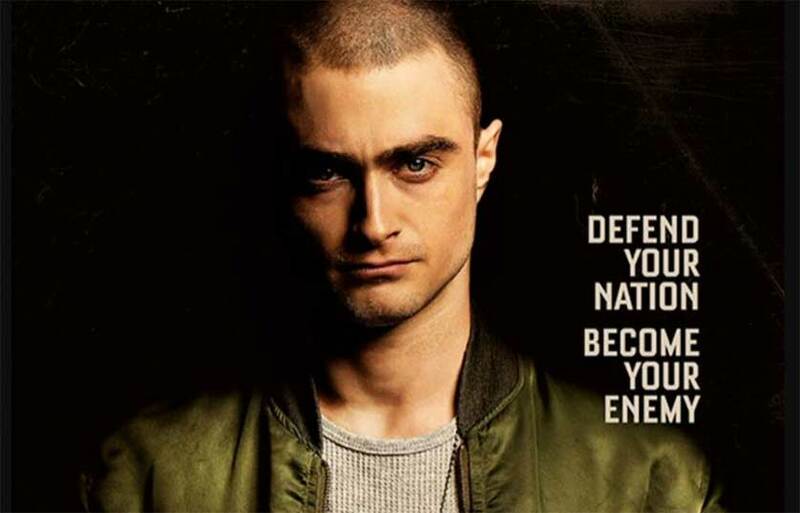 Racist By Association: What Do Daniel Radcliffe’s Friends Say About Him? Thanks internet. You really came through for me. After pleading last week about not wanting to go down the rabbit hole of bigoted fanboy reactions to movie casting again, our great online conversation has handed me another topic to sound off about. So instead, we get to have an even more serious and divisive talk about racism this week. What fun! 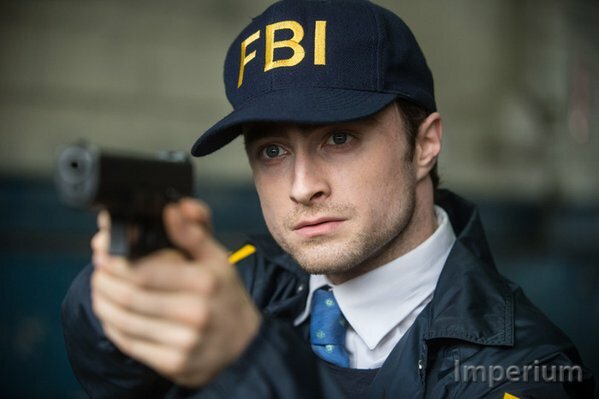 In the run up to his new film Imperium, in which he plays a cop going undercover in a Neo-Nazi terrorist cell, Harry Potter star Daniel Radcliffe got into a conversation about racism with the Hollywood Reporter, in which he mentioned that he knew some “really f*cking racist people”, going so far as to call at least some of them “friends”. Despite clarifying that none of them were on the level of White Supremacists, and that he vehemently disagreed with their views, Radcliffe went on to say that he associated with them regardless, because “I don’t think that friendship should be drawn along those lines”. This has raised an interesting question, when different facets of racism in Europe and the US are often front and centre of political discourse. Can a person belonging to the dominant racial demographic in their society claim to be an ‘ally’ of the cause of increasing equality and diversity while embracing people who hold racist beliefs with the other hand? It is a complex question, on which I would never be as arrogant as to claim to have the final, unique insight. However, with the internet famously not being very good at complexity when it comes to politically charged topics, perhaps my take on it will be somewhat useful to people in both camps. Politically, I am a centrist, but not because I have a commitment to taking the middle of the road on every issue. I’m more of a ‘Type B’ centrist, meaning whether I lean Right or Left fluctuates depending on the context of individual discussions, and I have a tendency to be aggressively contrarian with an ingrained cynicism for any ‘movement’ that demands a degree of ideological purity. Put simply, I don’t like it when squishy, temporary mortals claim that they (or worse, their ‘side’) have all the answers, and my pushing-back against that attitude has probably led to friends of mine on both political wings thinking I’m an arse because of something or other that I’ve said. Yet, I consider myself incredibly fortunate to mix with so many people of differing perspectives, and to a certain extent, disagree with all of them. It’s fun. It’s interesting. It keeps my debating skills sharp, and it really makes me think about where exactly I should be standing on every issue. If I started cutting out of my life people who I find myself frequently arguing with about these sorts of things, not only would I be making myself dumber, I’d also be destroying half of my social life. All of that said, there is a limit, and for what it’s worth I think the full extent of quotes from Radcliffe show that the same is true for him. Exactly where his line in the sand lies in comparison to mine I can’t say. I don’t know him personally. I do know, however, that I have on a few occasions been forced, for the sake of my own sanity and for the protection of other friendships that when push came to shove I valued more, to ostracise certain people. Despite my natural aversion to doing so, I’ve been forced to accept that some people are just beyond reason, committed to being as vocally offensive and ignorant as possible for seemingly little more than its own sake. Oratory sparring gets old when you’re playing against people who aren’t turning up to the debate with honest intentions, and are unmoved by anything that doesn’t meet with their preconceptions. I need a better reason than principle or curiosity to keep aggressive, die-hard bigots in my circle of friends. I am also aware enough to know that sometimes, my ability to avoid taking certain views personally is a textbook example of my ‘privilege’. Yes, I know that has become a loaded term, and there are probably some people reading this who have decided to take nothing I’m about to say seriously based on my use of it alone. My response to those people? See above. I have a middle-class, Anglo-Saxon Protestant upbringing. I am male, able-bodied, nominally straight, and to top it all off, I’m whiter than parmesan. In a country whose ideological lines have historically been drawn by straight white males, I may as well have been made on an assembly line, and the only things that oppress me are pollen and ultra-violet light. To be clear, I don’t waste time being self-conscious or apologetic about any of that. It’s who I am. I can’t help it any more than anyone else can help the way they are, and I would consider it incredibly patronising and insulting of me to not be comfortable in my own skin around people who didn’t draw as good a ticket in the lottery of life as I did. As such, when I hear people around me sometimes express distasteful views about Black Lives Matter, or Gay Pride, the gender pay-gap or gender neutral bathrooms (to name just a few examples) I can engage with those people without fear, knowing A) My status offers me an immediate respect other people simply do not have; and B) Whoever ultimately ‘wins’ that argument will not impact my life in the slightest. This cannot be said often or loudly enough: People in minorities do not have the luxury of discussing minority rights, freedoms and protections as if they are abstracts. If you know a Jewish person who gets ‘sensitive’ during discussions of anti-Semitic behaviour, maybe that’s because the last time anti-Semitism became endemic in Western society, six million people like them died. ‘Allies’ of equality movements need to understand this first and foremost. What we can see as calm, ‘reasonable’ discussions of racism/homophobia etc. mean something very different to the people who will actually be affected by our verdicts, which is exactly why, sometimes, what they think about a certain issue matters more than what we think. And yet, I still can’t believe that, in most cases, shutting people out of the discussion is ever the best solution. People are more than one thing, and people can change their minds, but only if we allow them to. On a personal note: By the standards of my generation, my late grandmother was a racist, an anti-Semite, and a homophobe. Admitting that brings me no pleasure, but in the interests of intellectual honesty, I have to. However, she was also one of the most loving and generous people I have ever known, who always treated people (no matter what she might have said about them in private) as she wished to be treated herself. I don’t mean the latter to apologise for the former, but reconciling that both these interpretations of her are equally true, and do not exist in contradiction to one another, is difficult. It means not only coming to terms with the knowledge that someone I loved very dearly was also very flawed as a human being, but it also makes me think about other people in the world who’s views I find disgusting. Many of them are also loved very much by people who probably shouldn’t be forced to choose between the loved one they see, versus what everyone else sees. What’s more, and more importantly, I have to admit that I have been guilty in the past of believing and saying many things I now know to be bigoted, out of ignorance either of the facts themselves, or how my interpretation of them affected those around me. I’m not perfect, but when I’m called out on it I try to learn from my mistakes. Can the same not be said for other people I’d call bigots today? Can the same not possibly be said for Radcliffe’s “really f*cking racist” friends? Sure, some people when challenged will only ever dig their heels in and push back, but in a rare example of optimism I don’t believe this to be true of everyone. When I remember things I once said that now make me cringe, I am also reminded of the human capacity to grow in empathy and knowledge. What’s important is that these views are challenged, strongly and publically. Allies cannot afford to be silent when they hear friends and family say bigoted things, be it out on the street or across the dinner table. Isn’t that exactly what Radcliffe just did, to be fair? He may not want to walk away from racist friends, but calling them out for it in front of the kind of audience he gets is a ballsy move, and more than most of us have done. The thing that really doesn’t help, in my opinion, is refusing to engage. When we ostracise people with views we find abhorrent, we give them no-one to talk to except one-another, and with each circular tirade about our ‘political correctness’ those views get more entrenched and more aggressive. That is, in part, what I believe has led to the rise of the Alt-Right reactionaries like Breitbart. This is a monster of a topic that could fly off on a dozen more tangents, but in closing… Yes, Radcliffe is fortunate as a white man to be so comfortable with racism in his social circle, but that doesn’t make him a racist, and I think a lot of the (white) people accusing him of not doing enough to combat racism, are actually the ones who need to get on his level. Next week, something lighter, I promise.